Are you a fan of the idea that less is more? If so, our previous blog might be of particular interest to you. In it, we discussed a few of the items that we suggest making an investment in because they’ll last you a lifetime. As we noted in that post, the average person moves almost twelve times over the course of their life. If you can settle on items that will last for a long period of time, it makes it easier to settle into your new living space without missing a beat. At Summit Riverside Apartments in Littleton, we strive to provide our tenants with a living space that they actually enjoy living in. Having things that you love when you move in makes it that much easier. Keep reading to see a few more ideas of things that you can buy for life. You’ve probably heard the phrase “they just don’t make them like they used to.” Never have truer words been spoken, especially as it pertains to furniture. Now there’s nothing wrong with the stuff that you’d buy at Target or Ikea, but you can’t expect it to last forever. In many instances, these pieces of furniture are made out of particle board that falls apart after a while. When it comes to furniture, you want something that’s going to stand the test of time. Whether it’s a dining table from the 1940s that you find at a flea market or a new rocking chair that you purchase from a local woodworker, investing in something that will last is a wonderful thing. After all, if you do it right, your grandkids could own that furniture someday. Colorado is a state where you can get a whole lot of mileage out of a jacket. There are a solid three seasons during which a jacket is appropriate — or even necessary — and if you go camping during the summer (another thing that Coloradoans absolutely love to do), you’ll find that a jacket is crucial in the evenings. But fashion moves quickly, so what can you do? Go with a classic. It’s hard to beat a denim jacket, and they’ve stood the test of time with the first iterations of them having been made over 100 years ago. Their light weight makes them perfect for layering, ensuring that you can wear it easily no matter the weather. Not interested in the double denim look? A black or tan jacket will do the trick as well. At the end of the day, there are a lot of jackets out there that are built well and will last a lifetime. Search carefully and you’ll be just fine. 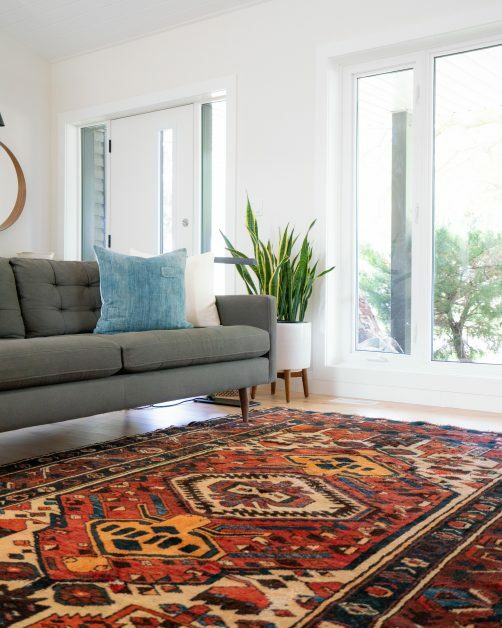 There’s no two ways about it — rugs are just downright expensive. Unfortunately, the ones available at the local big box store or the online discount retailer probably won’t last more than a couple of years before they’re worn beyond repair. The good news is that there are a number of rug makers out there who have been practicing their craft for decades. Do a bit of research, and you’ll find that a quality rug will look great no matter where you live or what your style is. Furthermore, purchasing a rug from a renowned maker will ensure that it holds up over time regardless of the traffic that it sees. Like a jacket, choosing a timeless style rather than a trendy print ensures that you’ll love the way it looks for many years to come. When it comes down to it, the things that make a living space feel like your own are the things you want. At Summit Riverside Apartments in Littleton, we give you a great canvas from which to work. With a number of floor plans to suit your specific needs, there is something for everyone. Feel free to take a look at our amenities, then reach out with any questions you may have about our apartments for rent, or take advantage of our live chat. When you’re ready, we’d love to show you around, so schedule a tour today. We look forward to hearing from you!